This futuristic, electronic percussion show includes modern unified costuming, electronic 'triggered' percussion, sculptural elements, and performance art to an originally composed score. Typical shows are 20-30 minutes in length. 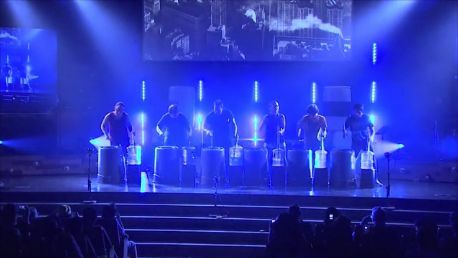 This urban dance and percussion troupe delivers the excitement and energy of Off-Broadway hits like "Bring In Da Noise, Bring in Da Funk", "Stomp", Blast, and "Blue Man Group", with their original, high-energy music and choreography. Their full-length shows and business meeting segments create memorable experiences for audiences at business meetings, trade shows, galas and corporate events. The troupe usually composed of 3 men and 3 women from various ethnic backgrounds (they can perform with 4-10 cast members if needed) make music using such everyday objects as Pill Bottles, Large Orange Construction Cones, 5 Gallon Plastic Buckets, Computer Keyboards, Tic Tac Boxes, Trash Cans, Brooms, Briefcases and Various Percussive Drums. Using drumsticks, they also play on staging setsand items found in the audience. 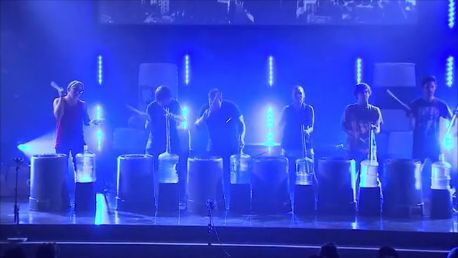 They have created a number of novel, hi-tech percussion instruments which are used in their performances. 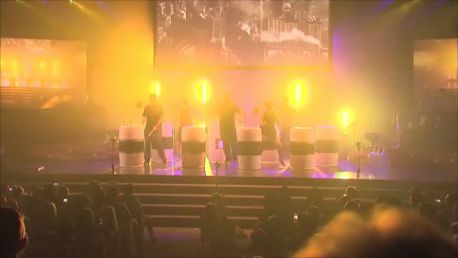 In addition to their standard numbers, they also perform several audience-interactive numbers (planting props under the seats of the audience) egg shakers, drumsticks and wood blocks allowing for collaboration with individual executives or the entire audience. This versatile, contemporary, physical theatre show is in the genre of Stomp. They dance hip hop, tap etc. and include trash cans, drum sticks, brooms and other chosen objects in the show for rhythm. They can also incorporate any products a company or client may want to speak a theme or introduce a product. The director of this group has toured with the off Broadway show Stomp for five years. 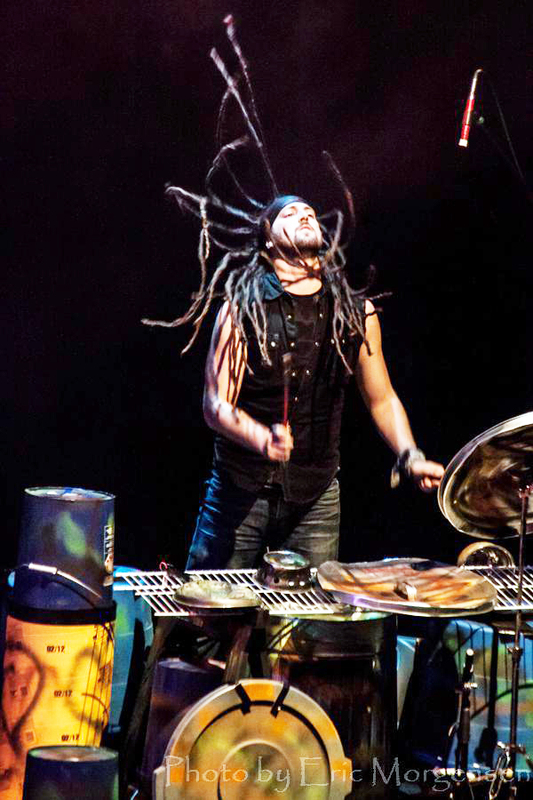 He has created his own percussion movement featuring a unique combination of rhythm and movement and utilizes everyday objects to make percussive sounds. His group performs all over the United States and features several school programs including motivational themes of anti-drug, positive lifestyle, no bullying and recycling. Grey Trashcan drumming- 8 members drum on the backside of these cans to a extremely fast pace while also incorporating some crazy stick tricks that capture the crowds eyes. Tether-balls- A visual number with perfect timing and precision, 8 members swing tether-balls on 55 gallon barrels making very loud and powerful music! Change pitch- A number performed with water bottles an aluminum pool pipes with specialty lights. The number is very melodic and makes you feel like you're under water. The troupe plays the theses aluminum pipes that are set in the water bottles; when the pipes are moved up or down, they change pitch. 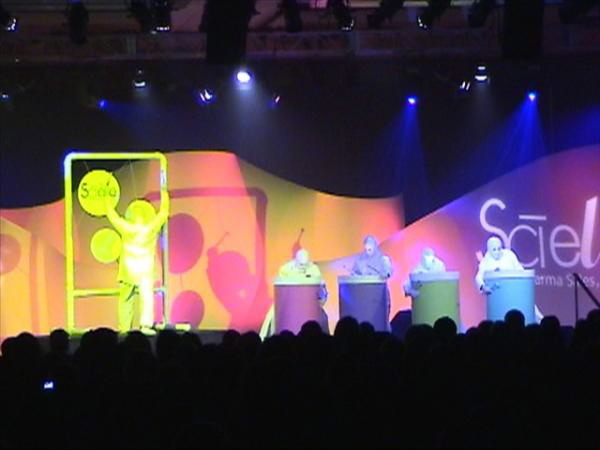 Buckets and tables- The troupe juggles 5 gallon buckets across folding tables, while tossing and sliding and passing buckets, they create music at the same time! This one is a crowd favorite! Subs- Six horse troughs played with tennis balls placed in socks! 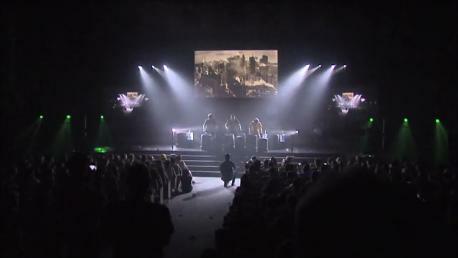 This is another amazing visual piece, performed in black-light. The troupe whips the socks around creating a thunders percussive sounds! Audience participation- The troupe is playful and fun, they captivate the audience and make them apart of the show with a great segment of audience participation. 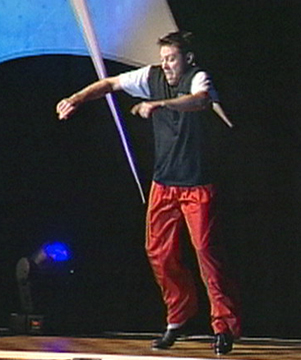 Led by the troupe's director, he gets the whole audience involved with call and response rhythms, chants and breakdowns the audience can grasp no matter their size. He divides the room into sections, having each section play various parts, creating a ploy-rhythm effect. 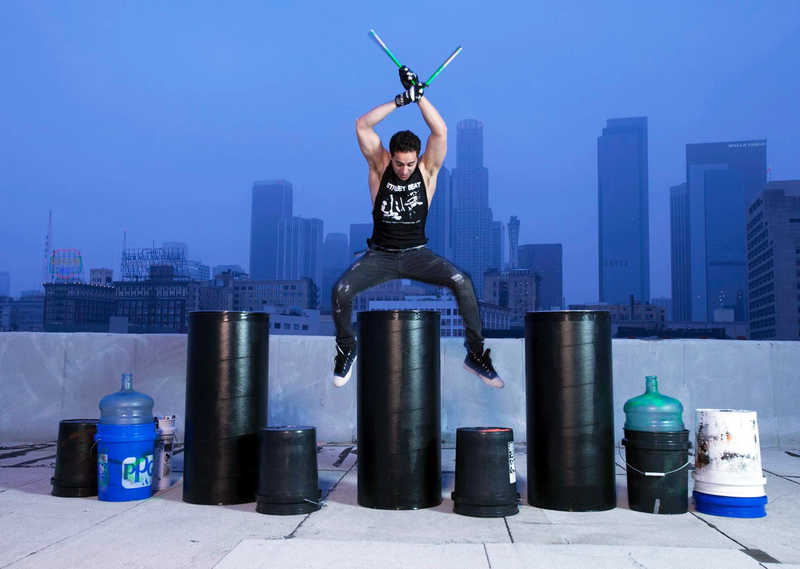 This drum and dance show is a kinetic, maximum energy explosion of urban rhythm and dance, utilizing junk, household items and found objects for drums and percussion and featuring the pinnacle of modern street choreography. We merge African, Cuban, Latin, West African and jazz concepts to create a theatrical show that is simultaneously multi-layered in its richness of experience and pure simple joy in its delivery, as thrilling to watch as it is to hear. 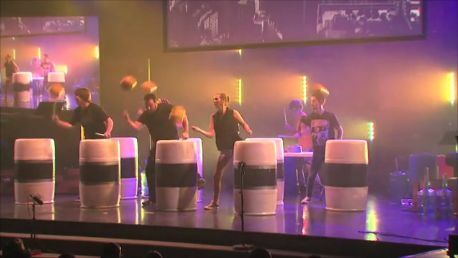 The high impact, high-concept drum & dance shows incorporate rhythms from every corner of the world, and utilize break dance, hip-hop, theatrics and audience interaction to make for a truly memorable event. 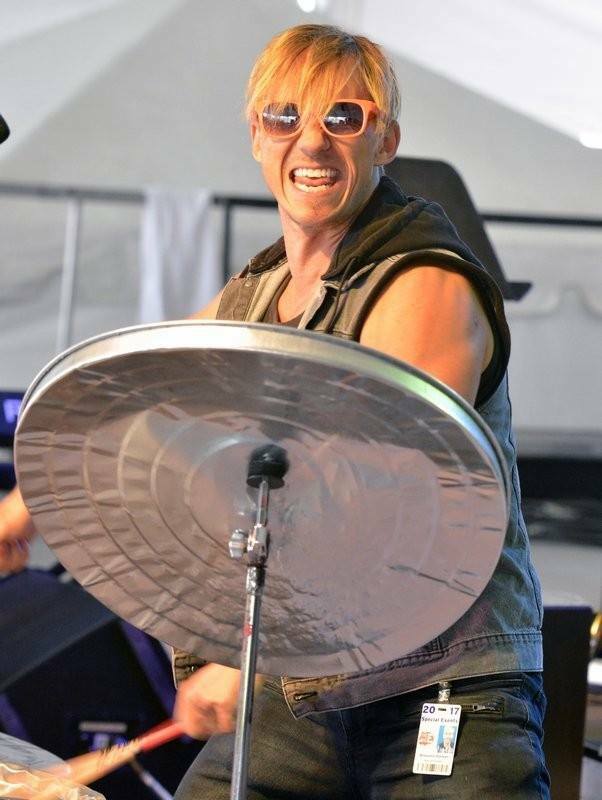 Everything we drum on is made from recycled, repurposed objects and random gadgets, and our drummers turn drumming into high theater. So our shows are not only exciting to hear, they are equally thrilling to watch and be a part of. We make a joyful noise and teach your employees and guests how to do it too, whether at a corporate party or teambuilding retreat. For teambuilding events, each participant receives their own bucket drum along with a pair of drumsticks. Together with the lead drummers, your staff will engage in playing a variety of rhythmic structures that bit-by-bit are pieced together to fully synchronize the entire staff-drum-ensemble.